The FRIDA program began working in the region in 2004. 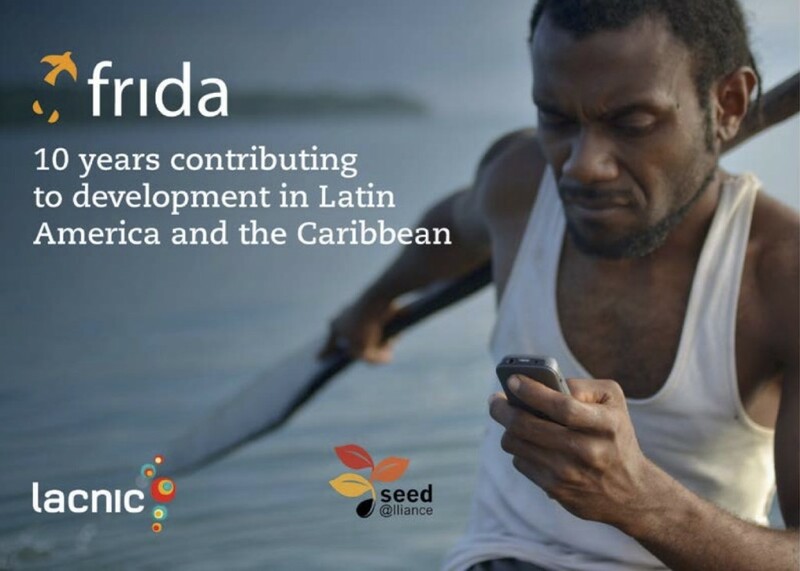 To celebrate its tenth anniversary, LACNIC published a book presenting the activities carried out by FRIDA and the projects funded by the program. The book summarizes the results achieved by the program and its long-term impact on the projects it has funded. We would like to highlight that most of the projects supported by the program in the form of Awards, Grants and Scale-Ups are still in operation and some have even evolved thanks to new sources of funding and partnerships which have led to new projects and goals. Devices, infrastructure and technologies. Accelerating and expanding access. Creating and developing skills and content for sustainable human development. Mobile Internet for social inclusion, growth, political participation and active citizenship. Internet for promoting, guaranteeing and exercising Human Rights and fundamental freedoms. Each of these sections begins with an introductory article contributed by regional ICT experts who have been actively involved in FRIDA in various capacities throughout the ten years of the program: Amparo Arango (Dominican Republic), Edmundo Vitale (Venezuela), Ida Holz (Uruguay) and Valeria Bentancour (Ecuador). The book also includes six articles written by leaders of different projects funded by FRIDA describing the problems for which they attempted to find a solution through the use of ICTs with the support and funding provided by the FRIDA program, and how the use of technology allowed them make concrete progress in the fields of ​​telemedicine and health, open data and digital media, community networks, and gender and education.